Fiction writer Gregory Howard reads in the New Writing Series on Thursday, February 24, at 4:30pm in the Arthur Hill Auditorium (Barrows Hall) on the University of Maine’s flagship campus in Orono. The event is free and open to the public, though seating is limited. Gregory Howard took his M.A. at Illinois State University and his Ph.D. from the University of Denver. He has published work in Birkensnake, Tarpaulin Sky, Trickhouse and Elimae, among other places. He currently teaches at Regis University and lives in Denver. The UMaine New Writing Series is sponsored by the English Department and the National Poetry Foundation with support from the Lloyd H. Elliott fund, the Milton Ellis Memorial Fund, the Honors College, and the Cultural Affairs/Distinguished Lecture Series Committee. Grateful acknowledgment is made to the Pulp & Paper Foundationfor the use of the Soderberg Center. FMI contact Steve Evans at steven dot evans at maine dot edu or at 207-581-3818. 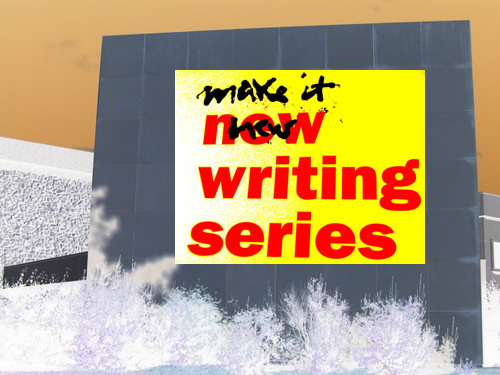 Fiction writer Matthew Kirkpatrick reads in the New Writing Series on Monday, February 21, at 4:30pm in the Arthur Hill Auditorium (Barrows Hall) on the University of Maine’s flagship campus in Orono. The event is free and open to the public, though seating is limited. Matthew Kirkpatrick’s short story collection, Light Without Heat, is forthcoming from FC2. His fiction has appeared in Conjunctions, The Notre Dame Review, Western Humanities Review, Redivider, DIAGRAM, and elsewhere, and has been anthologized in the 2010 Best of the Web. His short story, “Different Distances,” was selected by Ben Marcus as the winner of the Utah Writers Contest and his writing has been shortlisted in the Best American Nonrequired Reading anthology. 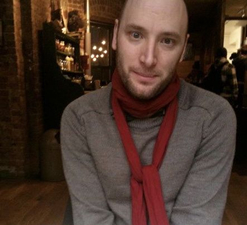 He co-edited Quarterly West, is a fiction editor for Barrelhouse magazine, and edits the online journal Improbable Object. He has been granted a fellowship to the Virginia Center for Creative Arts and is finishing his Ph.D. at the University of Utah, where he held the FC2 Fellowship. 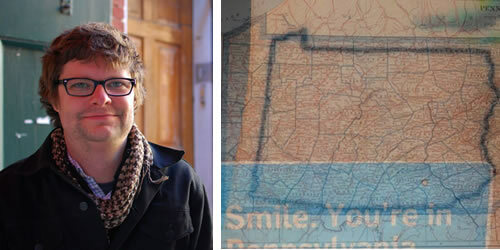 Read his story “Fragments of a Pennsylvania, from a Larger Region” here. Check out his blog here. The UMaine New Writing Series is sponsored by the English Department and the National Poetry Foundationwith support from the Lloyd H. Elliott fund, the Milton Ellis Memorial Fund, the Honors College, and the Cultural Affairs/Distinguished Lecture Series Committee. Grateful acknowledgment is made to the Pulp & Paper Foundationfor the use of the Soderberg Center. FMI contact Steve Evans at steven dot evans at maine dot edu or at 207-581-3818. Fiction writer Holly Wilson reads in the New Writing Series on Thursday, February 17, at 4:30 in the Soderberg Center Auditorium on the University of Maine’s flagship campus in Orono. The event is free and open to the public, though seating is limited. 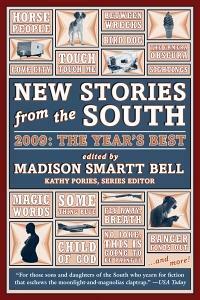 Holly Wilson’s fiction has appeared most recently in New Stories from the South: The Year’s Best, 2009, Narrative Magazine, and Redivider. She’s been a Kingsbury Fellow at Florida State University and a Tennessee Williams Scholar at Sewanee Writers’ Conference and will earn a PhD in literature and creative writing this May from Florida State. She makes her home in Tallahassee, Florida, where she’s finishing her first novel. You can read some of her stories here. 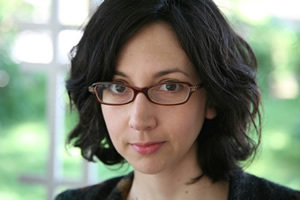 Fiction writer and small-press publisher Danielle Dutton kicks off the spring 2011 New Writing Series on Tuesday, February 15, at 4:30 in the Soderberg Center Auditorium on the University of Maine’s flagship campus in Orono. The event is free and open to the public, though seating is limited. 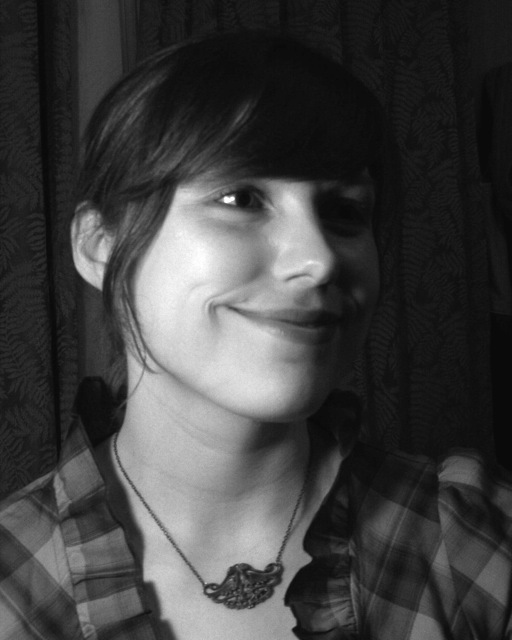 Danielle Dutton is the author of Attempts at a Life and S P R A W L. Her fiction has appeared in magazines such as Harper’s, BOMB, the Brooklyn Rail, and NOON and anthologies such as A Best of Fence and Where We Live Now. She received her PhD from the University of Denver and is currently a book designer, a teacher, and editor of the small press Dorothy, a publishing project. The UMaine New Writing Series is sponsored by the English Department and the National Poetry Foundation with support from the Lloyd H. Elliott fund, the Milton Ellis Memorial Fund, the Honors College, and the Cultural Affairs/Distinguished Lecture Series Committee. Grateful acknowledgment is made to the Pulp & Paper Foundation for the use of the Soderberg Center. FMI contact Steve Evans at steven dot evans at maine dot edu or at 207-581-3818. The UMaine English Department and the National Poetry Foundation are pleased to announce another semester of dynamic literary programming through the New Writing Series, now in its eleventh year. We’ll be hosting five fiction writers and four poets between now and late-April, and we’ll wrap up the academic year with a celebration of the winners of the Steve Grady Awards in Creative Writing at both the undergraduate & graduate levels. Come join us for just one event or make the Series a regular part of your spring calendar! All events are free and open to the public, though seating is limited. Check back here for individual event information.